I haven’t been out for a while so I decided to fly fish for some bones as the tide was going down this morning. I got to the park around 8am, made my way down to my starting spot and got my gear ready to fish. The sky was overcast most of the morning and the surf was up. My plan was to fish my way out then make a turn and head down the coast. I fished the likely spots on the way out but there was no takers. As I made my turn I decided to change my fly I put on my “Go To Fly” and made a few casts. Bam! Fish on! 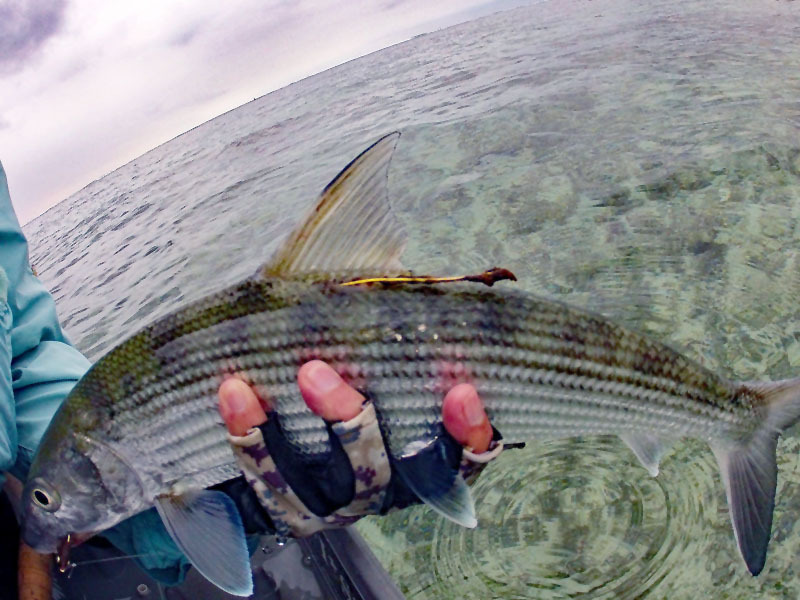 This bonefish took me into the backing but didn’t really peel off that much. It made a few good runs and it put a decent bend on my Sage 7wt. 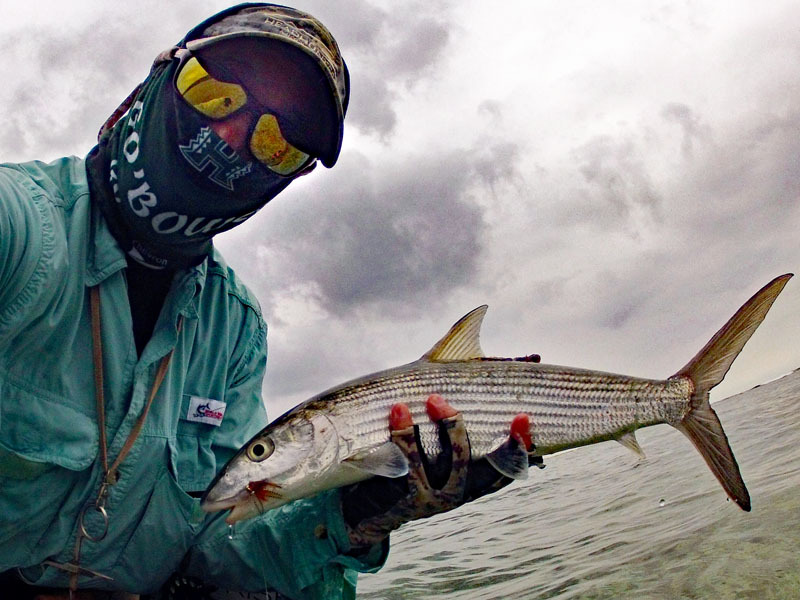 When I got the bonefish into landing range I notice that this was a tagged fish. A yellow tag was sticking out behind the dorsal fin. 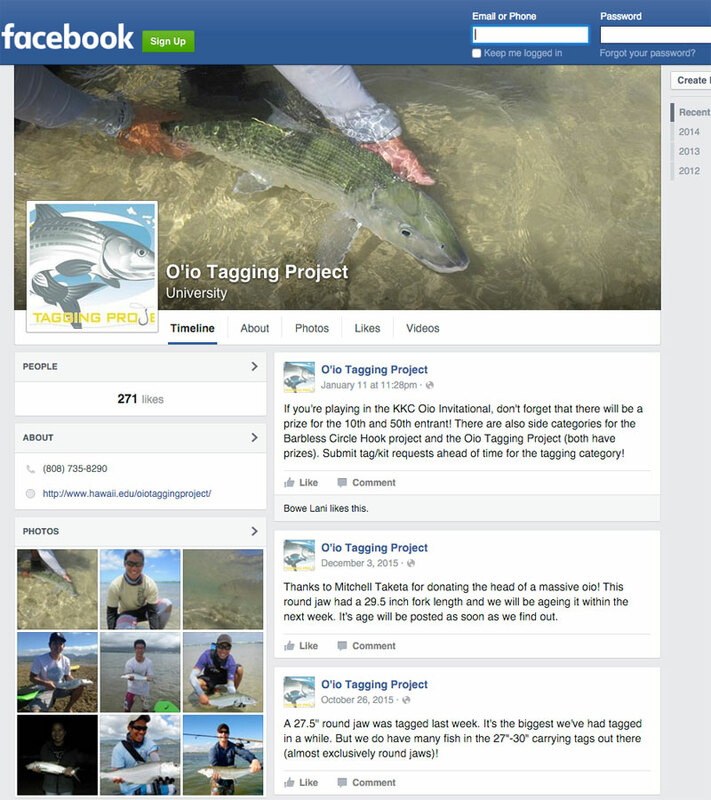 The first bonefish tagging project began in 2003 and mostly focused on fish that were caught by anglers in shallow inshore water. These tags were yellow and carried a unique identification number so if the fish was caught again the data could be sent to the researchers where it would be added to a fisheries database. 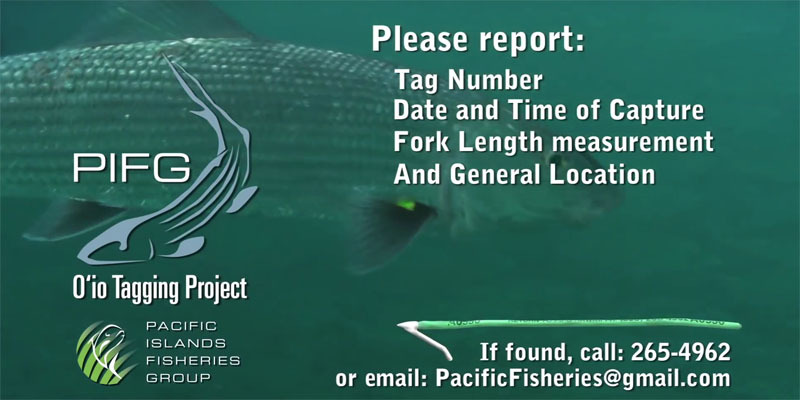 A second project looking at deep water bonefish is being conducted by the Pacific Island Fisheries Group using green tags. I brought the fish in and scraped some of the limu (algae) off the tag but I could not read the number. This fish must have had it on for a while. It felt good to hook into a bone again after a few months of no fly fishing. I hope 2016 is going to be a good year for bones.